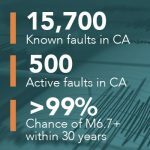 We all know that California is earthquake country, but do you know what the chances are for a major quake to occur? Are you familiar with how to prepare your home and family for one? 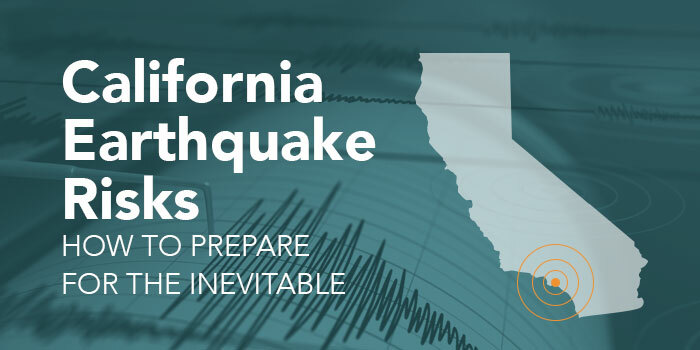 The following information provided by the California Earthquake Authority can help you establish an emergency plan and take the right actions before, during, and after an earthquake. California is home to 2/3 of the nation’s earthquake risks. With over 15 thousand known faults and 500 active faults, it’s best to be prepared. We have a greater than 99% chance that a magnitude 6.7 or greater will occur within the next 30 years. Your home is not covered for damage sustained by an earthquake unless you have a separate earthquake insurance policy. Minimize financial hardship by organizing important documents, strengthening your property, and purchase earthquake insurance. Improve safety after earthquakes by evacuating if necessary, helping the injured, and preventing further damage. Restore daily life by reconnecting with others, repairing damage, and rebuilding the community. An earthquake insurance policy on your home can greatly reduce the financial impact of a devastating earthquake. Contact your agent for a complimentary no-obligation quote.